Outfitted with a strong crenelated objective bezel for protecting the front lens and a novel bent optical path design for adapting an extra red dot sight, the matte black 6x20 D-EVO Prismatic Riflescope from Leupold offers shooters a dual aiming capability. 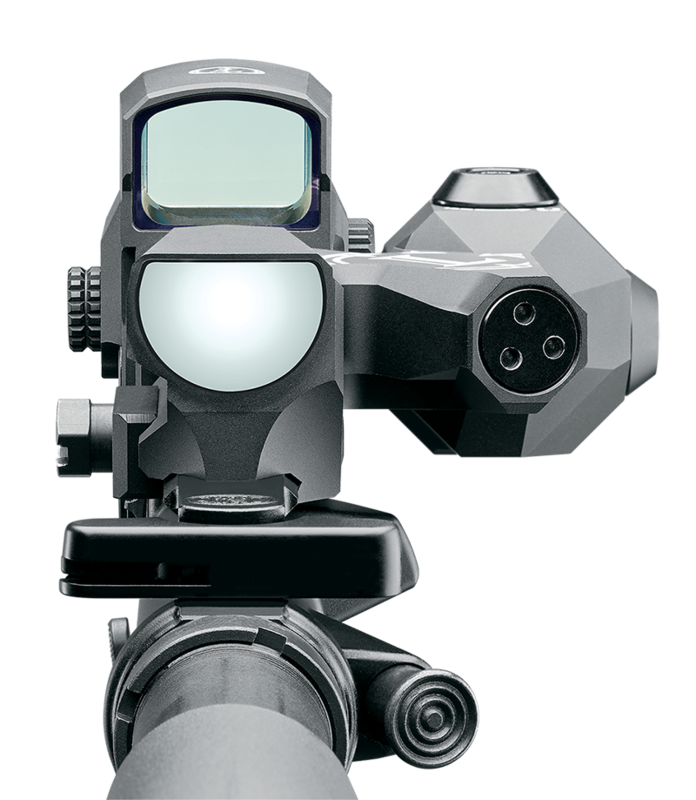 While its own 6x magnification helps you with distance target acquisitions, the optional 1x red dot sight that can be paired-up with this scope provides a tactical advantage for close quarter combat encounters. To make full use of this scope's dual viewing capability, you can attach an optional Leupold Carbine Optic (LCO), a 1x red dot sight that is specifically designed for this purpose, or other select red dot sights. The riflescope can help you compensate for ballistic bullet drop and wind deflection. 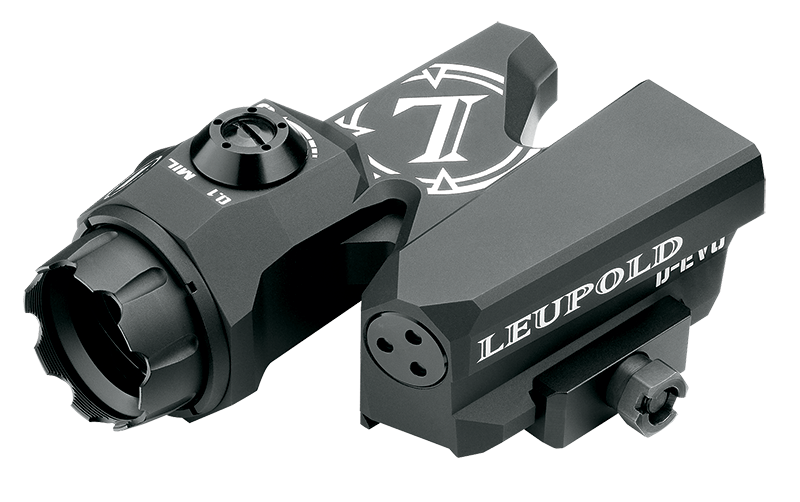 It offers 14.5 mil windage and elevation adjustment range and its 0.1 mil impact point correction. For added precision while you aim, the scope features a Close Mid-Range Reticle with Wind Holds (CMR-W). At 600 yards, the 0.5 MOA dot and surrounded it a 5 MOA circle provide a 3" aiming center dot and a 30" ring to encircle your target. 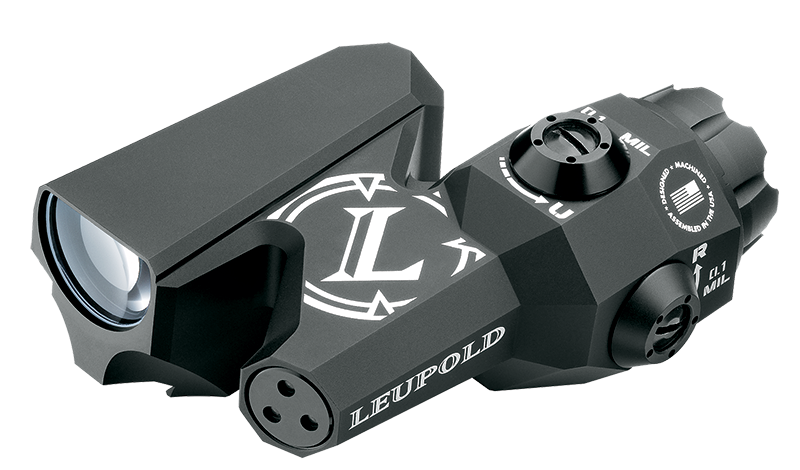 The matte black housing is crafted from lightweight and durable 6061-T6 aluminum alloy. It makes the scope waterproof, submersible to 66', and a fogproof device. For mounting an extra optic, the riflescope features a bent optical path and zigzagging body construction with the scope's objective protruding to the right side of your gun. This configuration utilizes less Picatinny rail space so that you can attach a second sight in front of this riflescope. Box Dimensions (LxWxH) 8.6 x 5.4 x 3.7"